With an expansion into a huge second location nearing completion and their fifth anniversary coming up, family-owned Asheville business Urban Orchard Cider Co. clearly has reason to celebrate. 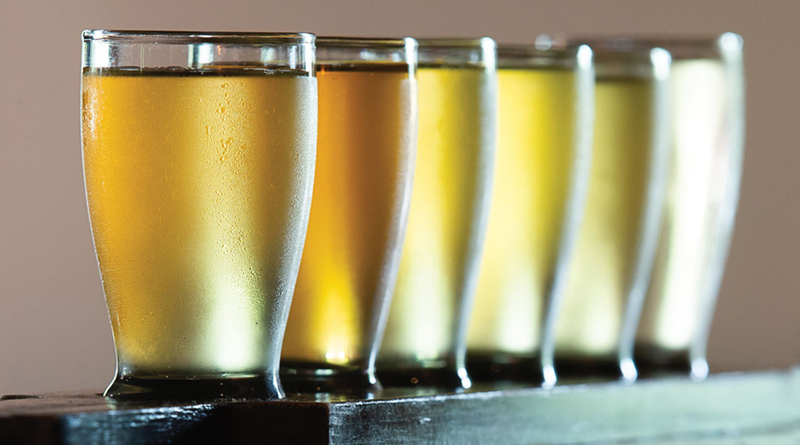 It’s practically impossible to liken Urban Orchard Cider Co.’s new location to their first—in fact, one might even say it’s like comparing apples to oranges. The cidery’s inaugural taproom and production facilities are perched on Haywood’s two corners where the road’s slope descends from West Asheville into the River Arts District. Today, it sits in the heart of a gastronomic hub, steps from Westside favorites like Old World Levain and Taco Billy and a stone’s throw from tourist mecca New Belgium. But when they poured their first crystalline glass of cider in 2013, their neighbors were vacant storefronts, not bustling eateries. On a Friday night—or any night, for that matter—the aluminum barstools fill with locals and regulars sidling up to the wooden bar for a glass of their favorite cider, served with a side of familiar banter from the bartenders. And just below them, in the basement of the taproom, lies Urban Orchard’s current production facilities, nearly 2,000 square feet filled with vats and bins, juice and yeast, with narrow channels for navigating and duck-your-head height ceilings.